It’s a nice day for a green wedding! Couples across the U.S. are celebrating their love for each other and their love of weed with the dankest ceremonies you’ve ever seen. You may have heard that Millennials are completely shaking up the wedding industry and redefining how we look at marriage. This generation is getting married later in life than their parents, and also getting divorced significantly less. Interestingly, they’re also throwing completely different wedding parties. While past generations have largely opted for ‘traditional’ ceremonies, Millennials are more likely to spend their wedding budgets personalizing their big day and making it a fun, unique experience. And, like with most things in life, what better way to do that than by adding a whole bunch of weed? With legalization on the rise, a growing number of couples are deciding to incorporate marijuana into their wedding day. This trend is becoming so popular that a Cannabis Wedding Expo is now hosted in several regions of the U.S. to help couples connect with specialized wedding vendors and planners. How much of a role should weed play at your wedding? Every couple is different and will have different wants and needs when it comes to how prevalent weed will be at their wedding. For some, including a discrete cannabis bar alongside the traditional alcohol bar is a perfectly subtle solution. A cannabis bar staffed by a budtender can provide 420 friendly guests with expertly prepared bowls without being distracting to others. Another exciting yet sophisticated option is to serve weed-infused food and drinks. Specialized caterers can add THC or CBD to a variety of entrees, drinks, and desserts. Other caterers offer food and drink pairing with the right cannabis strain, if you’d prefer to serve regular food. The possibilities of how to add weed to your wedding are only limited by your own creativity (and by your state’s laws of course). If you’re a marijuana user, and you’re planning on serving alcohol at your wedding anyway, including a cannabis bar as well seems like a no brainer. This awesome new wedding trend is predicted to become even more mainstream in just a few years, which will make planning easier than ever. 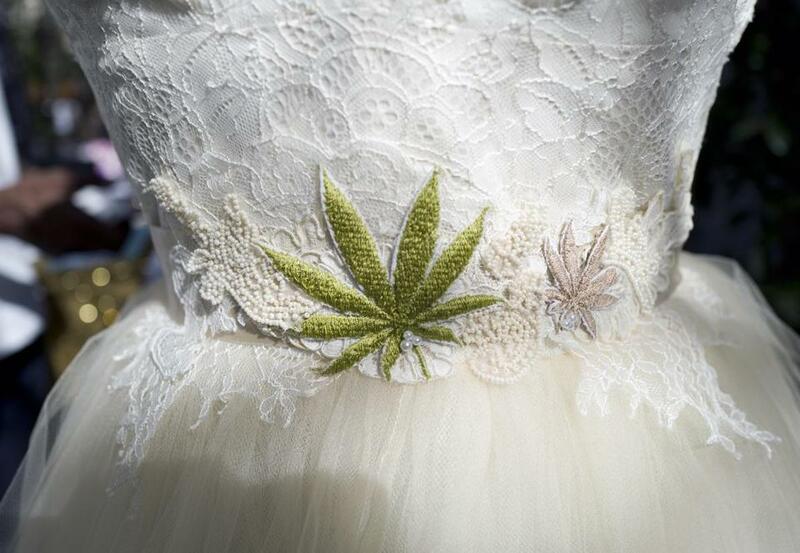 Here are some tips to make your 420 wedding as safe, fun, and memorable as possible. Know your limits – You don’t want to forget your big day, do you? Moderate your cannabis consumption, particularly if you also plan on enjoying alcohol too. Secure transportation for guests – Driving under the influence of marijuana is dangerous and illegal. Whether you choose to use designated drivers, taxi/ride share services, or have guests stay overnight, it’s important to ensure everyone at the party is comfortable and safe. Have options for everyone – If you plan on serving weed-infused food and drinks, make sure you also have options for guests who don’t want to partake. Follow the laws – Become familiar with your state’s marijuana laws and follow them. Keep cannabis away from minors. Take lots of pictures – You’ll want to remember this day forever! Get out there, have fun, and enjoy being blazed in marital bliss!